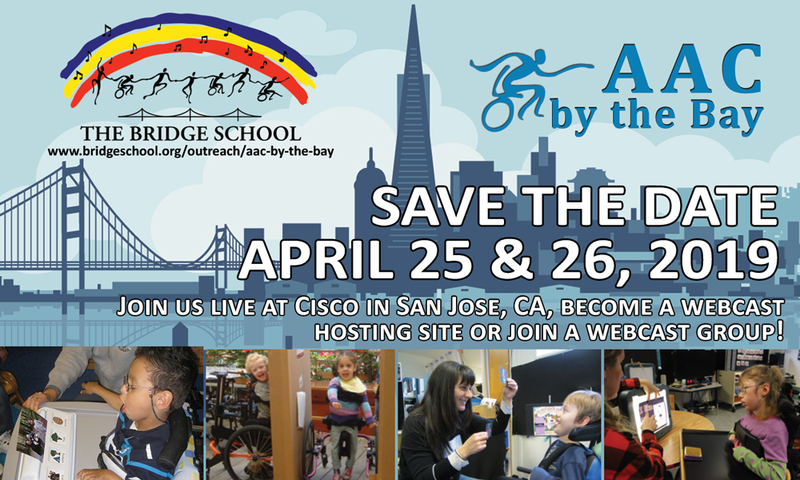 The Bridge School is pleased to announce our 2019 AAC By the Bay Conference to be held on April 25th and 26th in San José, California. 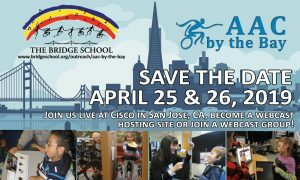 Join us on-site or host your very own webcast conference where ever you are in the world! This is an excellent opportunity to learn more about AAC, Cortical Vision Impairment, Literacy and Developing Self-Determination with Users of AAC and hear practical ideas for improving AAC implementation in Low Resource Environments from re-known experts in the field.